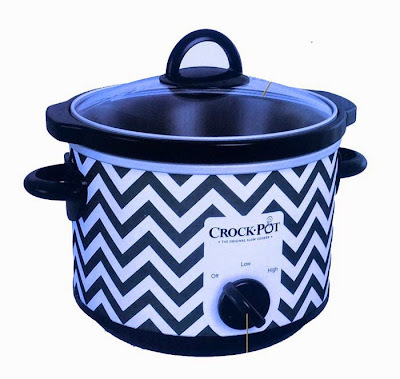 I saw this chevron Crock-Pot at my local Fred Meyer tonight and was sorely tempted to goth up my kitchen a bit. 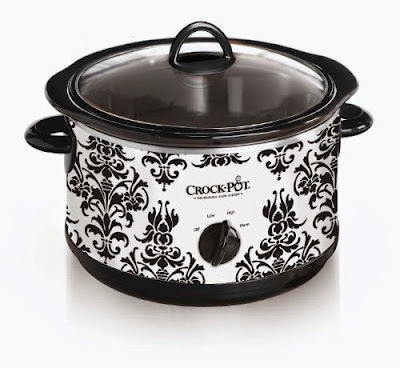 I love this black and white damask Crock-Pot. It would look much better on my kitchen counter than the puke green one I have right now! 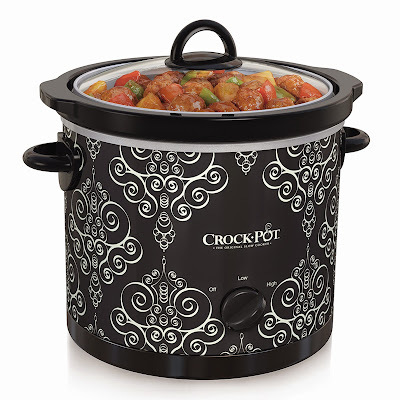 I love the scrollwork on this black damask crock-pot. 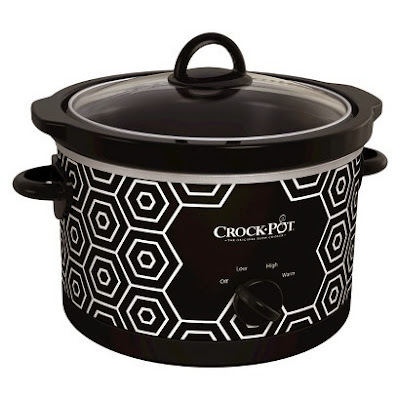 This black and white crock-pot could work in a more modern gothic kitchen. 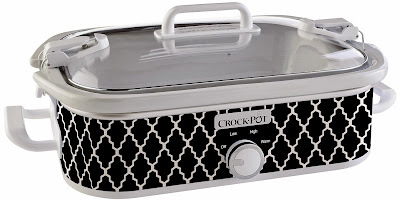 So would this black and white casserole slow cooker! 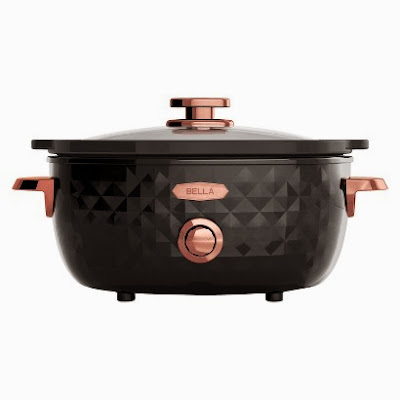 I suppose you could work this Bella Diamonds crock-pot into a steampunk theme kitchen.